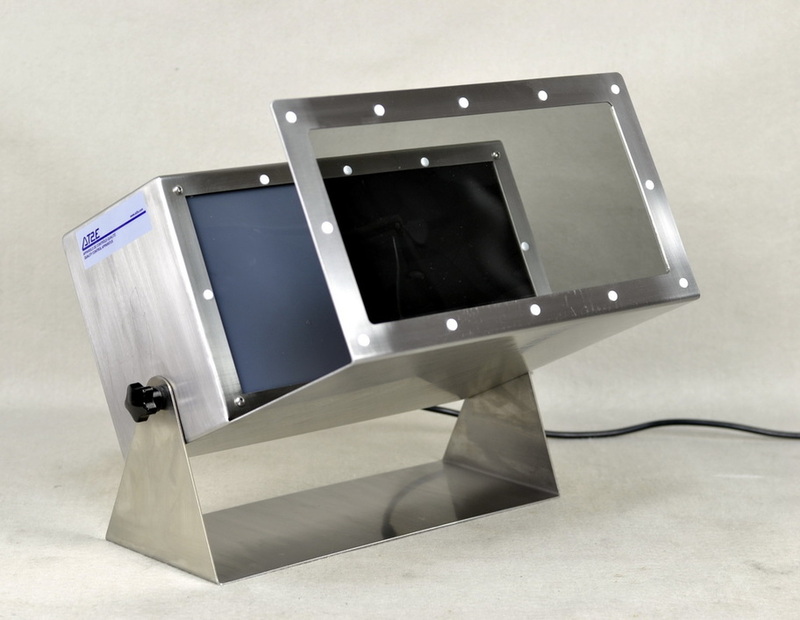 Stress Application Tests - AT2E - USA | Quality control apparatus for packaging and beverage, food, pharmaceutical, cosmetic and other industries. ​Many of the defects found in PET container preforms can be detected by using the PL-P. Preforms viewed in polarized light exhibit a colored birefringence pattern. 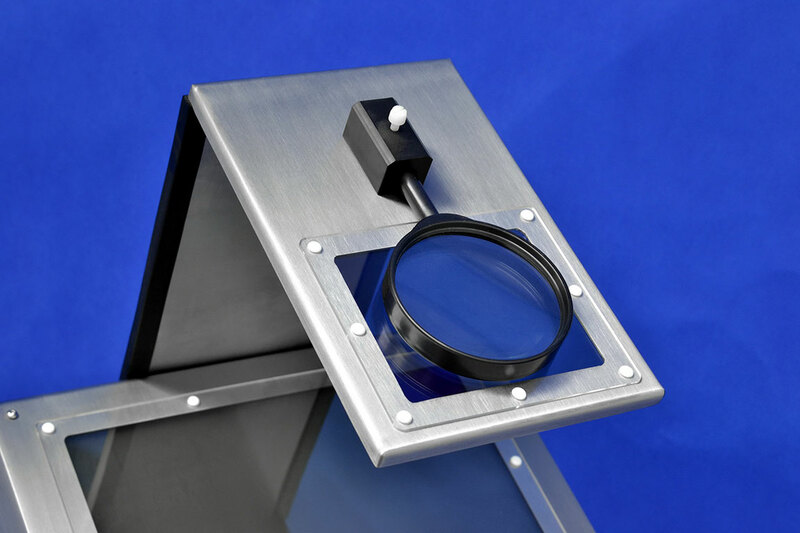 AT2E’s PL Polarization Light for Glass, a glass stress viewer, has been designed for the qualitative inspection of glass components, including tableware, small bottles, jars, scientific glassware and ampoules. 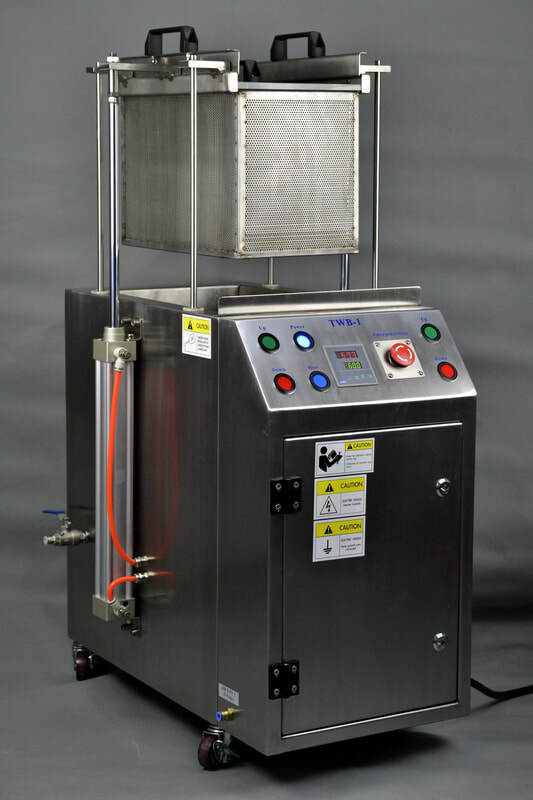 The AT2E SCT-D Stress Crack Tester is designed to test the internal stress in a bottle’s base and for determining the stress crack resistance of blow-molded PET carbonated soft drink bottles. 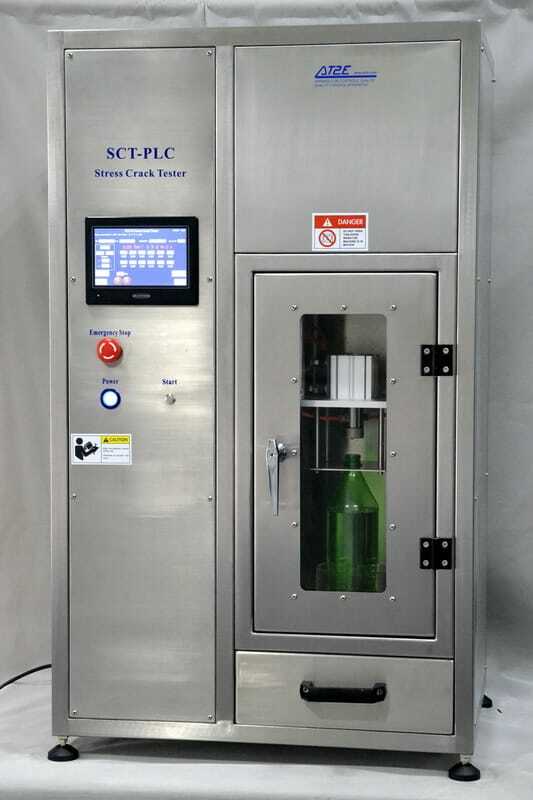 The SCT-PLC Stress Crack Tester is designed to test the internal stress in a bottle’s base and for determining the stress crack resistance of blow-molded PET carbonated soft drink bottles. 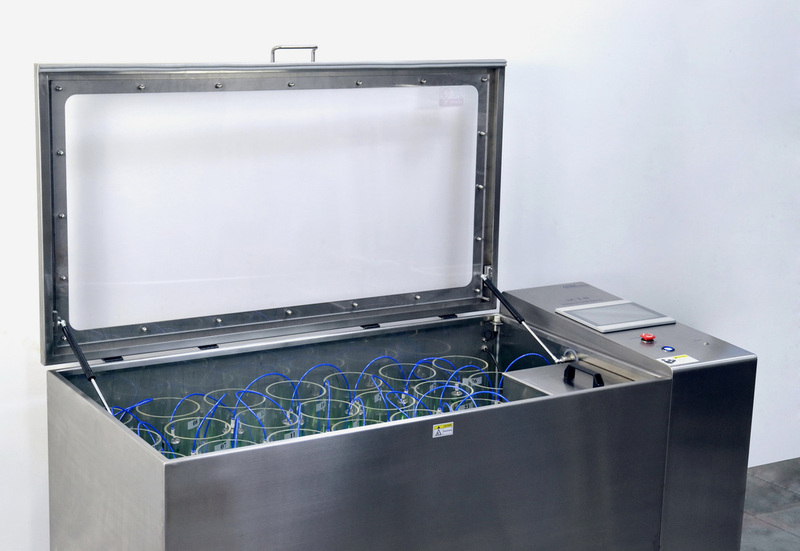 The TWB-1 Thermostatic Water Bath is designed to perform thermostatic tests for products in various fields in order to provide reliable data for analyzing product quality.